If you’ve been asked to join a CrewFire team, you’re in the right place. In this post, I’m going to explain what exactly is CrewFire, what you can expect, and step-by-step instructions to help you get the most out of your CrewFire experience. CrewFire is a social media brand ambassador platform that makes it easy for you to support the brands, companies, and artists you love, by sharing brand-curated content to your friends and followers on Facebook and Twitter. Support the brands, artists, and companies you love. Increase your influence and thought leadership on social media. Earn recognition from the brand/artist/company as an ambassador. Sound good? Great! Now, let’s take a look at how CrewFire works. 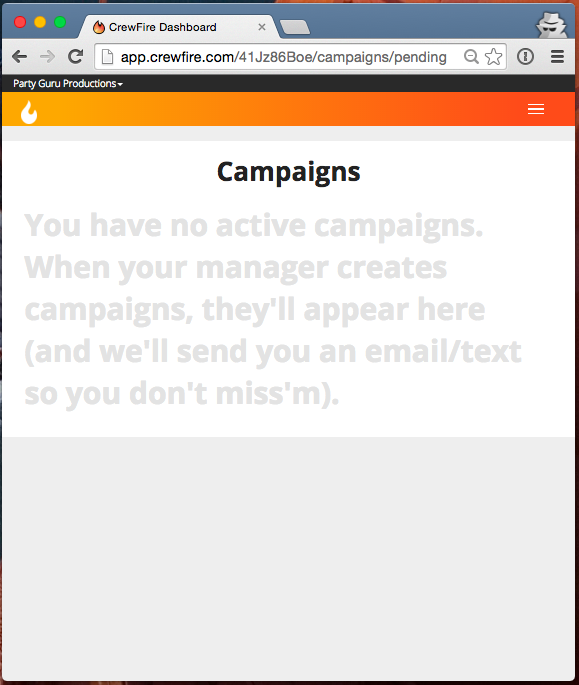 CrewFire is super simple: after signing up to support a brand on CrewFire, you’ll recieve notifications (via email or SMS) every time there’s new content for you to share. 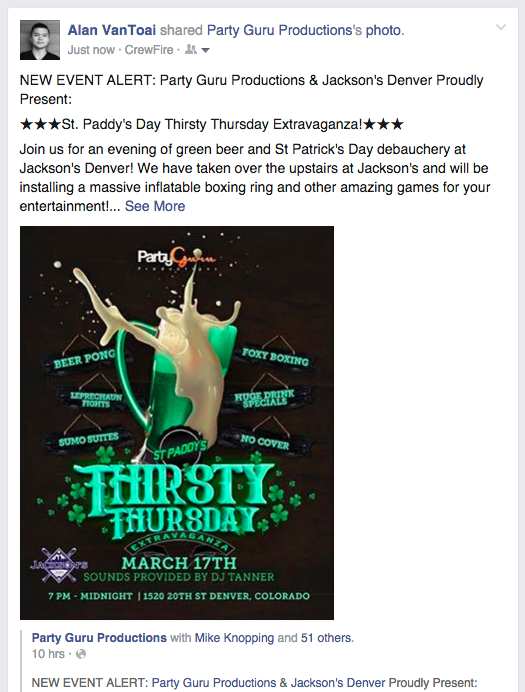 Each notification includes a link where you can see the suggested content for that post, and then a section where you can create your post to share on your Facebook or Twitter profile. 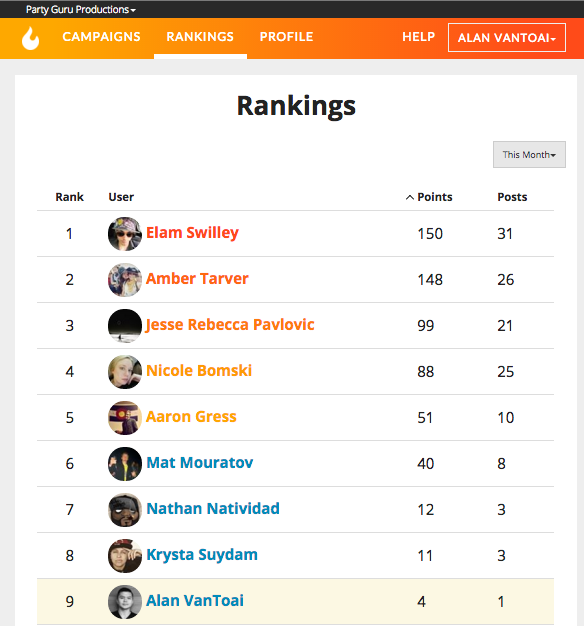 You earn points for sharing content, which contribute to your standings on the team-wide leaderboard. Depending on your team, you might be eligable for perks for participation, points, and rankings. You’ll want to ask your team manager about rewards/incentives to be sure (this will be handled off CrewFire). We designed CrewFire to be super simple and easy to use, with no instruction manual necessary. 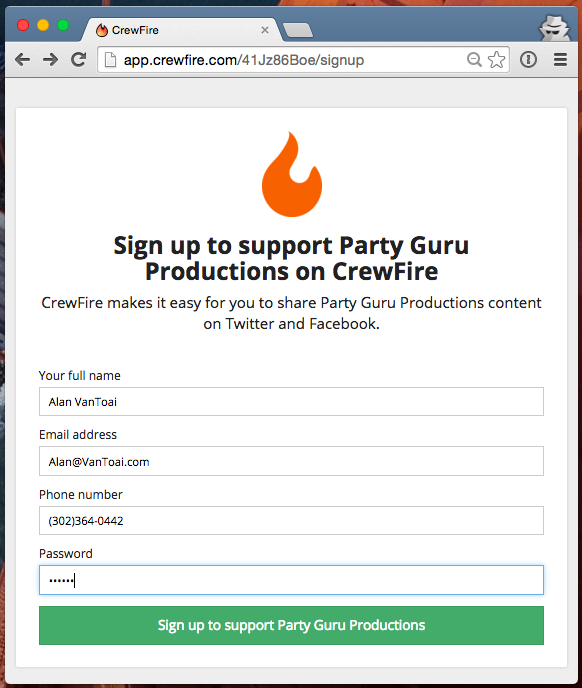 The first step to getting started with CrewFire is signing up to support a brand, artist, or company. 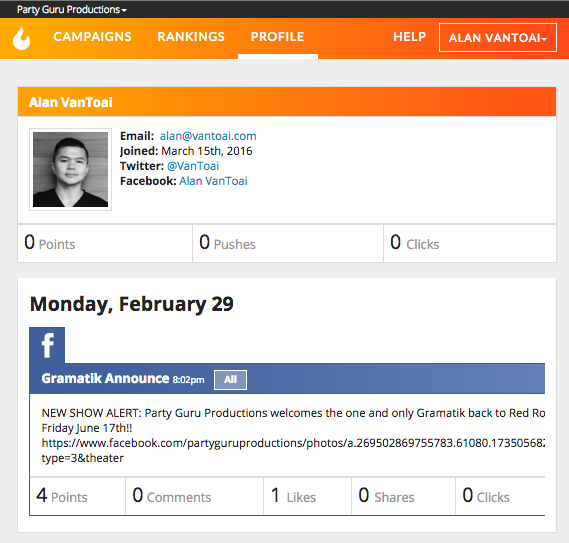 Your team manger will provide you with a unique sign-up link for their team, which will take you to a page like the one below. When you sign up, you’ll receive a confirmation text message to your phone. Confirm your phone number so that you can receive text message notifications when your team manager creates new campaigns for you to post! 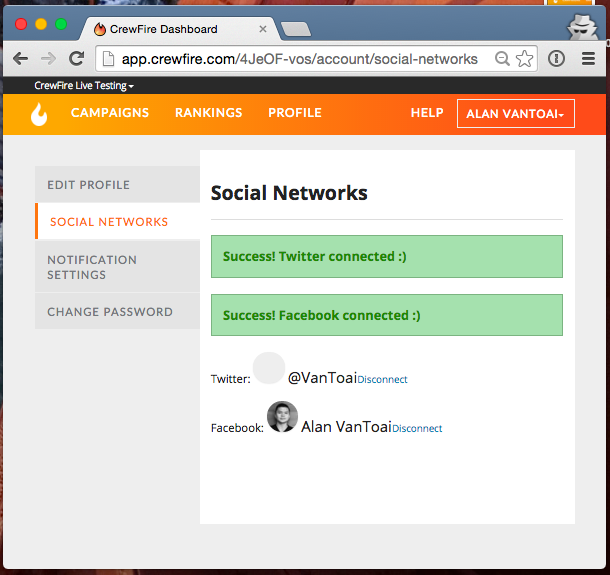 In order to post to Facebook and Twitter, you’ll need to connect your Twitter and Facebook profiles to your CrewFire account. To do this, simply follow the red links at the top of the screen, or click on the “Social Networks” option under your account settings and connect Facebook and Twitter. No worries – there’s nothing you should do yet. 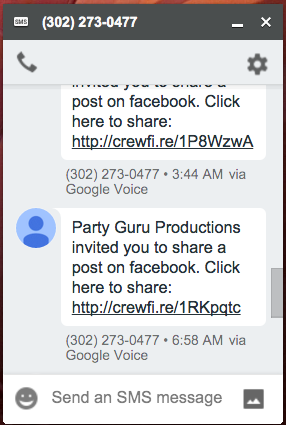 When your team manager creates content for you to share on Facebook or Twitter, you’ll receive notifications by email and/or SMS text message, inviting you to share a post. 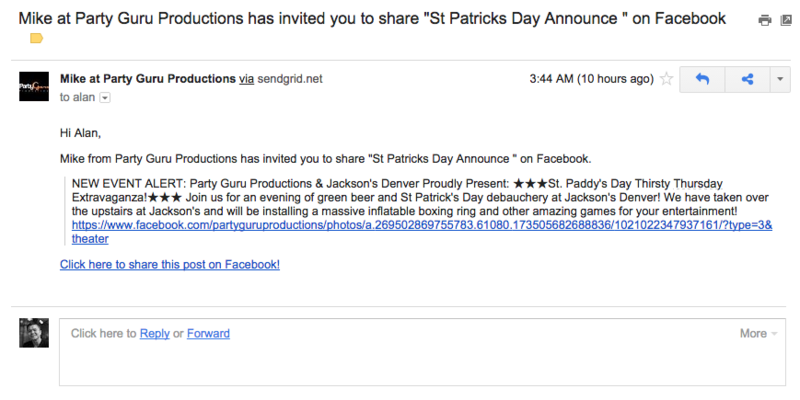 You can click “Fill Suggested Content” to automatically fill your post box, and feel free to modify the content to match your own voice if necessary. You earn points for every post you make, which add up to give you a ranking on your team-wide leaderboard. Again, we’ve designed CrewFire to be so simple to use that there’s no manual necessary, but just in case you were curious, we hope this guide was helpful! Again, if you have any questions, please feel free to email our support team at [email protected], or ask your team manager to learn more about how your team is using CrewFire.